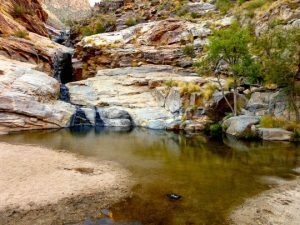 Let’s start with the outdoors, since apart from a few crazy hot months in the summer, Tucson is one of the best places for all kinds of outdoor activities, especially if you like hiking. One of our favorite outdoor destinations is Sabino Canyon. Even if you’ve lived here forever like us, it’s still a spectacular place to go for anything from a casual day hike (or even just a stroll), to some pretty strenuous hikes. The canyons and (often) running water and the surrounding nature can totally refresh and revitalize the spirit. To have something so natural and gorgeous so close to Tucson is truly a treat. At the time of this writing, there is a bit of bad news though, regarding Sabino Canyon. For years there has been a tram that offered people a motorized trip through the canyon, along with very friendly and knowledgeable Forest Service guides to educate folks on the history, geology and other interesting facts on where they were and what they were seeing. Not only was it educational, but it gave access to people who were otherwise unable to make the walk into the canyon. As of July 1, 2018, that tram is no longer running and it is unclear if or when it will resume. Apparently it all comes down to some kind of legal dispute between companies that operate the tram. While things remain in limbo in the courts, there is no tram service. Very, very unfortunate for the rest of us. 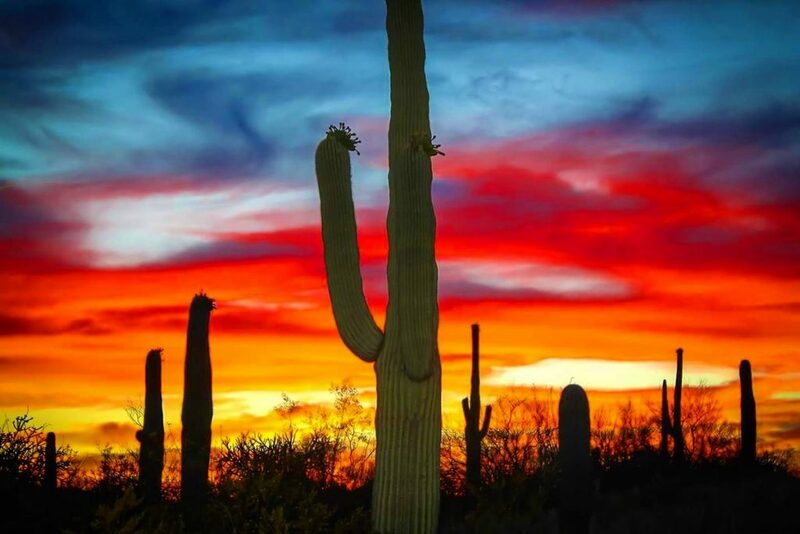 Having been here in Tucson for many years, it used to be a common gripe that there was very little to do in the Old Pueblo once the sun went down. Well, over the past decade or so, things have changed quite a bit, and for the better! After many half-hearted attempts and revitalizing downtown, we now have a ‘real’ downtown Tucson with lots of activities, bars, restaurants, live music, festivals, galleries, housing and people taking advantage of all of it! Even during the slower, hotter summer months when the University of Arizona student population is greatly diminished and the snowbirds have all gone home to roost for the summer, it is no ghost town. There are plenty of people and activity to keep you entertained. One of our favorite places to go that has really stood the test of time is Tucson’s Hotel Congress. While it is famously known for being at the source of how John Dillinger’s gang got nabbed in Tucson, that only adds to the ambiance of a place that has very successfully balanced keeping the charm of the old while managing to keep up with modern times. They have live music on a regular basis, both inside and outside in the beautiful patio/courtyard. The restaurant called The Cup serves a variety of very good food with a decent selection of craft beers (including some local choices), wine and well made cocktails. While there has been a virtual explosion of other exciting and delicious restaurants in downtown Tucson, with lots of bars, shops, ice cream shops, craft breweries, food trucks and more, Hotel Congress continues to be a go-to downtown destination for locals and visitors alike. That does it for our first post about some of the many things to do in Tucson, and we plan to add more soon. We feel very fortunate to live in this great city, and when we’re not busy helping our Tucson friends and neighbors with garage door problems, we like to take advantage of everything Tucson has to offer and we’re happy to share some of our experiences with you. Maybe you’ll discover something new, or maybe it’ll just spark some motivation to go a revisit some of the great things we have nearby that maybe you haven’t connected with in a while.